THE FORMER head office of the Raleigh Bicycle Company has been recognigsed with a Grade II listing and become the 400,000th property on the National Heritage List for England. 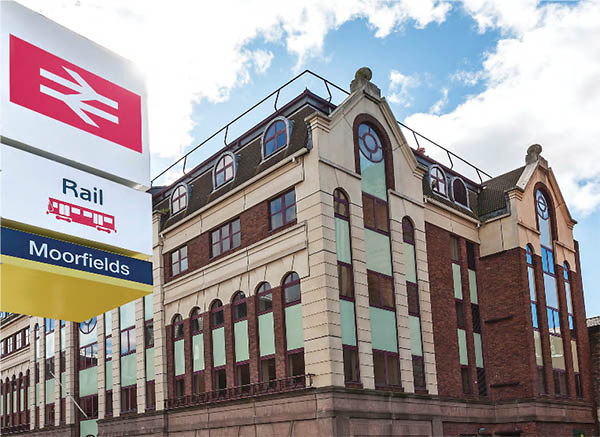 The purpose-built head office for Raleigh in Nottingham is one of several new additions to the list after the Department for Digital, Culture, Media & Sport accepted the latest recommendations from Historic England. 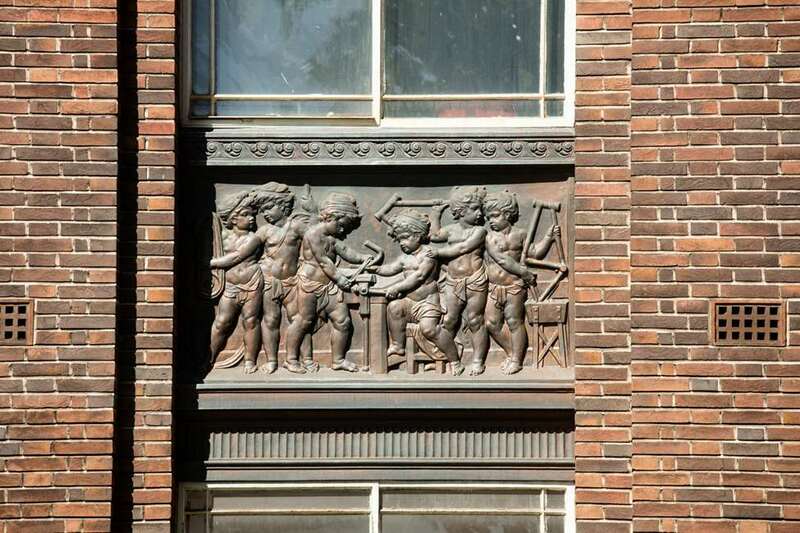 Decorative panels by Nottingham-born artist Charles Doman showing cherubic children, known as putti, holding bicycle parts adorn the front of the property which was built in 1931 and designed by architect Thomas Cecil Howitt. Raleigh were at one time the biggest manufacturer of bicycles in the world and they were major employers in Nottingham. The company sold the flagship head office in 1983 and moved to Triumph Road, also in Nottingham. Today, the Howitt building as it’s named, is home to the Lenton Business Centre as well as organisations providing support to the African Caribbean community in Nottingham. Other new additions to the National Heritage List for England include Elmdon terminal building at Birmingham Airport, Theatre Royal in Plymouth, and the Birches ‘Squatter’s cottage’ in Cleeton St Mary, Shropshire. Image: Decorative panel by artist Charles Doman. (Historic England). NEW research from the US says that open-plan office workers are more active. The study by academics at the University of Arizona also found that workers in an open-plan setting are less stressed than those in cubicles. Data from 231 workers across four sites wearing chest sensors was analysed as part of the research which has just been published in Occupational & Environmental Medicine. “Higher physical activity at the office was in turn related to lower physiological stress outside the office as measured by heart rate variability,” was one of the key findings of the report. A VICTORIAN office building in Liverpool city centre is to be turned into a new hotel. 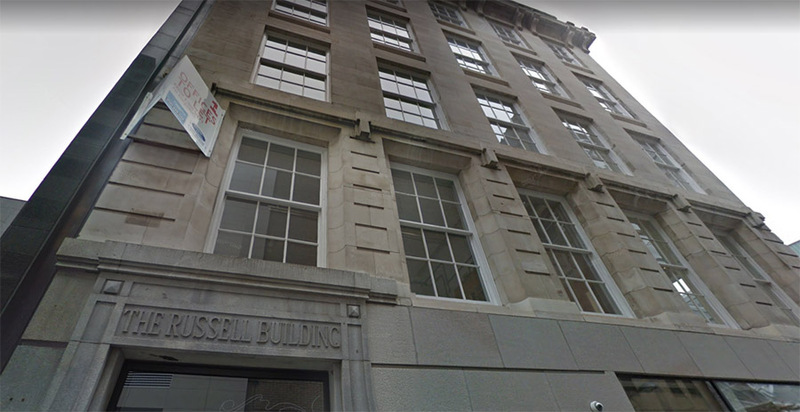 The Russell Building at the junction of School Lane and Peter’s Lane has been largely left empty since the internal office space was modernised as part of the Liverpool ONE development eight years ago. Plans from regeneration specialist YPG will see five floors of the six storey Portland stone building turned in to a fifty bedroom boutique hotel with roof terrace. A ground floor unit occupied by Hotel Chocolat will be unaffected by the redevelopment. The Liverpool property dates back to the 1860s has been home to various companies and organisations since then including Shell, Colmore cars, Vernon pools, Joblink, and NACRO. A FORMER Royal Mail sorting office in Newport looks set to be turned into 50,000 sq ft of new office space. Newport Council’s Planning Committee has backed a proposal by developer Garrison Barclay Estates to transform the property at 22-29 Mill Street in the south east Wales city. The fifth, sixth and part of the ground floor will be demolished as part of the scheme which will also provide 84 parking spaces. The one acre site was used by the Royal Mail until 1999 and subsequently taken over by local company Industrial Automation & Control (IAC). New cladding and glazing will be added to the reconfigured building which will have three storeys of office floor space in an open plan arrangement, with the reception and lift access located on the ground floor. LOCAL planners in Bath have given outline planning permission for a new development which will create 20,000 sqm of new Grade A office space. The Bath Quays North scheme is part of the council’s wider flagship Bath Quays regeneration project which will span both sides of the River Avon. It is expected that the Bath Quays North development will also deliver a minimum of 70 new homes and a new, modern basement car park. Bath & North East Somerset Council is in the process of selecting a development partner for the Bath Quays North scheme. Once a detailed planning application has been approved, construction is likely to commence in early 2020. A FIFTY-SIX storey skyscraper has been approved by the City of London Corporation. The Planning and Transportation Committee gave the green light to the new development in Leadenhall Street earlier this month. Lai Sun Development Company’s new 263 metre tall building, designed by architects SOM, will be the third tallest in the City of London when finished. Already known as the Cheesegrater 2 because of a profile which complements the nearby Leadenhall Building, the tower will provide over 102,000 square metres (1,097,919 sq ft) of office space. “I’m delighted that we have approved latest addition to the City’s growing office district. “As a leading business district accommodating 483,000 workers every day, it is vital to continue to deliver office space for the significant growth expected with the arrival of the Elizabeth line later this year. “Leading to a church dating back to the 12th century, this development demonstrates the City’s distinctive ability to house the old and new side by side, while becoming more accessible to creative workers and members of the public. “More than ever we are seeing businesses make location decisions based on the quality of built environment and public realm that they can offer their employees. THREE hundred people were evacuated today as the London Fire Brigade attended a fire a an office building in Pimlico, London. Fire crews from Lambeth, Chelsea, Clapham, and Brixton fire stations attended the scene after a call was made to emergency services shortly before 2pm. It took the 21 fire fighters and four fire engines less than an hour to get control of the blaze in a seven storey building in Belgrave Road close to Victoria. According to reports on social media, the Victoria Charity Centre which provides office space for small charities, was affected by the fire. Our building is on fire! A NEW business centre in the City of London has had its official launch event after opening earlier this month. The serviced offices from Orega at 70 Gracechurch Street have capacity for up to 400 people. The 26,000 sq ft business centre occupies the third floor of the building and boasts features such as a breakout area in the atrium (pictured above), high-tech personal security doors, and Clevertouch TV screens. “Our vision was to design a centre that looked great but impressed with its functional spaces &amp; innovative technology. We’re extremely happy with the result and were proud to show off our new centre last night. HISTORIC offices in a country house six miles from the centre of Edinburgh are up for sale or lease. A-Listed Baberton House traces its history back to 1622 and is able to boast of impressive royal connections. The 17th century property was built by King Charles 1’s Principal Master of Works, James Murray. Following the July Revolution of 1830, France’s King Charles X abdicated and spent three months at Baberton House after going into exile. With over 8,500 sq ft of internal space and grounds totalling 10.8 acres, Baberton House has most recently been used as the head office of property and construction business Cruden Group. Welcome to Offices.org.uk - We're dedicated to bringing you the latest news from the office and commercial property sector and listings of serviced offices available to rent.